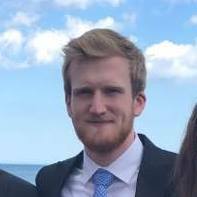 I'm a computer science student at the University of Utah with a passion for programming. I taught myself how to write C++ at age 11 and have since continued to work on projects that challenge me to improve. I have made over a dozen games, implementing a wide variety of gameplay, while working with a variety of differently sized teams. Through making games I have: won a ticket to showcase a game at GDC, won game jams, and seen my work featured on Markiplier's Youtube channel, PCGamer, and RockPaperShotgun. Please Respond, Colony One is a Narrative exploration game currently being developed by Josh O'Caoimh and me. Paint martian landscapes and discover the memories of the last remaining member of the planet's first colony. - An autosave system that saves players' paintings and progress. - Painterly postprocessing shader implementing the Kuwahara filter. Narative adventure game developed in two weeks for Adventure Jam 2016 by Josh O'Caoimh and me. I did the programming, including custom shaders, and a menu that could display the player's progress through a graph of memories. An exploration game about growing up. I took inspiration from games like Journey and Flower to make a game that could transport people into another world. I wrote all of the code for Eighteen which involved an event-driven interaction system, as well as a dynamic day/night/weather cycle. I made models and materials for the game with Blender and Maya, and worked with a musician friend to develop a dynamic system for layering chords on top of the background music as the game progressed. A 2D puzzle platformer where players must conserve energy and remember how to get back to their friend. I made the original prototype of Retrostasis solo in 72 hours for Gamejolt's GDC jam. Afterwards I developed the game further with a team of 4 over the course of a summer. I wrote a custom SAT collision detection and resolution algorithm, and modified an existing ray-casting based 2D lighting system to include efficient collision detection. - One of 5 winners out of 120 entries in GDC jam 2016. - Showcased at Gamejolt's GDC booth in 2016. - Featured on Gamejolt's front page.